this is bS to the core! I am Navajo, but know of no relations to anyone south of the border. Mexicans are racist against the Indios chaparros. To be called in Indio pisado is an insult. How does that explain why most Mexican people dont live in tribes anymore? they DO live in tribes - Red or Blue! Ndnsoldierboy, windanncer, Spiritflight and 3 others like this. If they consider Indians to be "backwards", why do they have no problem acknowledging that they are part native? I dont get that. Most Mexicans consider themselves "Mestizo" kind of a "hybrid" mix of spanish & indian blood. They might have the indian blood, but not the Indian traditions, language, culture. Mestizo was higher social ranking than Indio, under colonial society. This persists as an attitude today. Why do you think most US and Canada natives (a minority in their countries) still hold onto traditional culture (like tribes), but most Mexicans dont do it, even though the majority of them have native blood in them? Last edited by gilisi; 11-26-2014 at 09:24 AM..
Over 5% of the population in Mexico retains tribal affiliation, in that they speak their indigent languages as of the census taken in 2005. Tribal identity is alive and well among Mexican indians, many of whom proudly admit their 'Indio' status, albeit unpopular among the predominant colonial attitudes. If anyone is truly interested in references and actual information, by all means PM me. If, however, you have more fun making hasty generalizations about entire races of people because it feels good, then let the ethnocentric babble continue. windanncer and Maize-Grower like this. Last edited by gilisi; 11-26-2014 at 09:25 AM.. So why does such a small population of Mexico belong to a native tribe, when most of their population is either native or part native to begin with? In the US, native americans (or people with some ancestry) are a minority-yet a significant portion of them belong to tribes. Why is that? Have you thought about contacting the Mexican government? You're asking questions that can only be answered by the Mexican government. 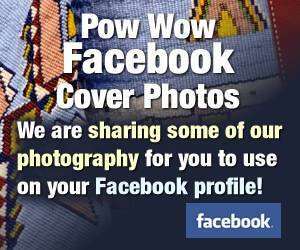 If you would like to know about powwows, or powwow etiquette, you're art the right place. If you want to know why Mexican Indians are not called 'Native Americans', ask the Mexican government. If you read the works of Carlos Castaneda, an American who went to interview a Yaqui Indian "man of knowledge" Don Jaun De Matis in the 1970's, this topic is brought up. I can't find a quote exactly, probably partly because 1/2 the books I had in the series of books I lent out to people that never returned them, but I believe he says Mexican's often viewed the Yaqui culture as silly and they generally frowned upon people that took it seriously. Carlos Castaneda is a fraud. His work was all fiction and no substance. Joe's Dad, Spiritflight and milehighsalute like this.